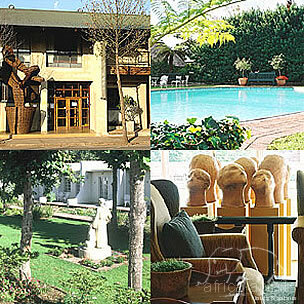 The Graskop Hotel is a unique artistic experience offering friendly accommodation, contemporary South African art in a variety of interesting settings and culinary delights to be remembered. Away from the hustle and bustle, yet only 4 hours drive from Johannesburg International Airport is the Graskop Hotel, where friendly staff, a warm atmosphere and fresh flowers make it an ideal place to unwind. All en-suite bedrooms are furnished and decorated with your comfort in mind. Whether you are visiting Mpumalanga as a tourist or on business, the Graskop Hotel offers you a warm welcome. Decor and good service give a relaxed ambience in which to enjoy freshly prepared food, flavoured with home grown herbs. Graskop, situated in Mpumalanga on the Drakensberg Escarpment, not only offers the visitor spectacular scenery and breathtaking views - from here the scenic Panorama Route leads northwards along the edge of the escarpment to the Blyde River Canyon. The historic town of Pilgrim's Rest is just a short hop away. Graskop is also a gateway to the world-famous Kruger Park and its unique wildlife - the town is in the only malaria-free zone situated within easy driving distance from the Kruger Park. All en-suite bedrooms are furnished and decorated with your comfort in mind. The hotel has 19 en-suite bedrooms and 15 garden suites with patios overlooking peaceful gardens. 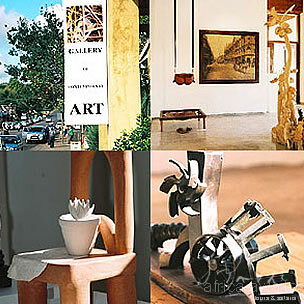 The Artist Rooms display the works of contemporary South African artists. The Garden Rooms are situated in the peaceful garden setting. 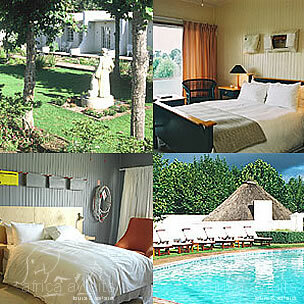 With your holiday, safari or business trip from in to The Graskop Hotel in Mpumalanga.